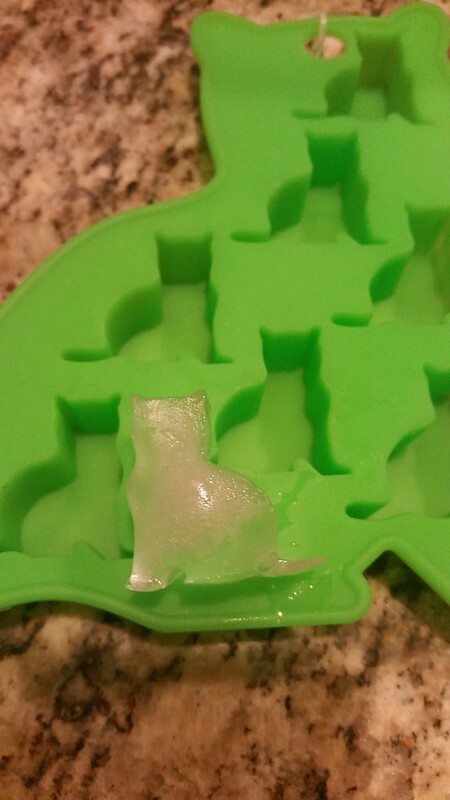 An ice tray with a cat mold for its ice cubes. To be clear--I didn't buy this (though I'm sure I've been tempted when at a novelty store). My mom bought this for me and I've got to admit, I'm kinda smitten with it. It makes these cute little ice cubes in the shape of cats. What I actually like is that the ice cubes are small, which make them easier to crunch on when done with a drink. But I do have to wonder if this is some sort of strange metaphor to be eating cat ice cubes.